Play through the events of the hit show when Stranger Things 3: The Game releases this July. The game will be available for PS4, PC, Xbox One, and Switch during the same date as the Stranger Things Season 3 premiere for Netflix on July 4th, 2019. 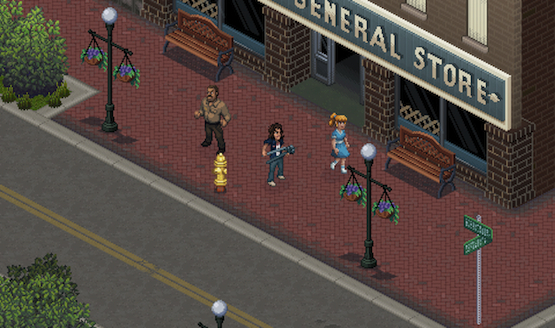 The blast from the past tie in is an adventure game with a 16-bit art style; it will feature the exploration of the mysterious town of Hawkins, puzzles, and combat. For those dedicated Stranger Things fans, this game will recap the events of the series, but it will also unveil some secrets not revealed in the show. However, you won’t need to watch all the episodes to enjoy the game. This comes after the unfortunate cancellation of Telltale Games’ take on the universe, due to the closure of the studio; it reportedly would have been the first Telltale game developed with the Unity Engine rather than its notoriously buggy in-house engine. Netflix said, after the TellTale closure, that they were “in the process of evaluating other options for bringing the Stranger Things universe to life in an interactive medium.” Whether or not we’ll see that Telltale Stranger Things game come to fruition like Skybound bringing back The Walking Dead: The Final Season, is yet to be seen. Devolver Digital also said they were interested in a license for the Stranger Things IP. Which characters will you be playing as in Stranger Things 3: The Game when it releases this summer? Let us know!